Before I begin telling you why this here is my favorite morning juice recipe, I must first tell you some very big news - my sweet mister and I are buying a house! Our first house! Holy moly are we excited. My brain is on overload with everything from insurance quotes to paint swatches and I'm already planning where the Christmas tree will go in December. So clearly I’ve ignored the advice to not get emotionally attached to a home before the keys are in hand, but let’s be real, I get emotionally attached to everything. The other night, my friend asked me what I was most excited about with the new house, and I have to say, aside from having a place to store my vacuum and neighbors I can woo with baked goods, I’m just excited to finally be in a space that reflects who I am and what I love. And as a food photographer, this home means a whole new canvas to work with - new light, new surfaces and a new kitchen to break in and get messy. Now let’s talk juice, because buying a house is also a wee bit stressful and there’s nothing like a fresh cup of juice to keep your body humming. 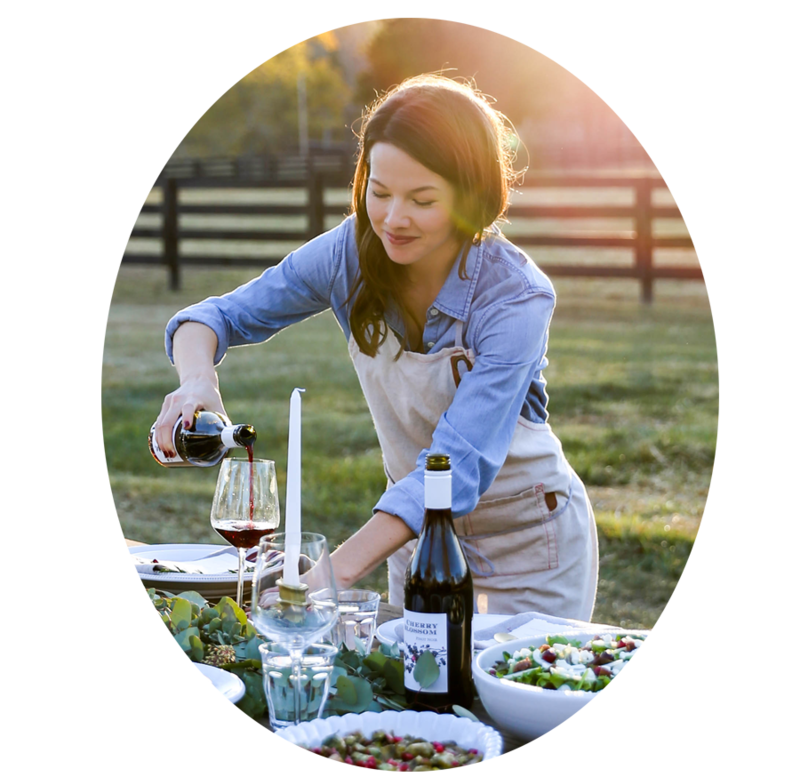 Even more timely, this recipe is the perfect remedy for seasonal allergies as we transition into spring. Turmeric is a powerful, magical spice that serves as a natural pain reliever, antihistamine and is also anti-inflammatory. People with ailments ranging from arthritis to cancer reach for turmeric for it’s healing properties and I find the bright orange root adds an earthy, saffron-like taste to broths, soups and smoothies as well. 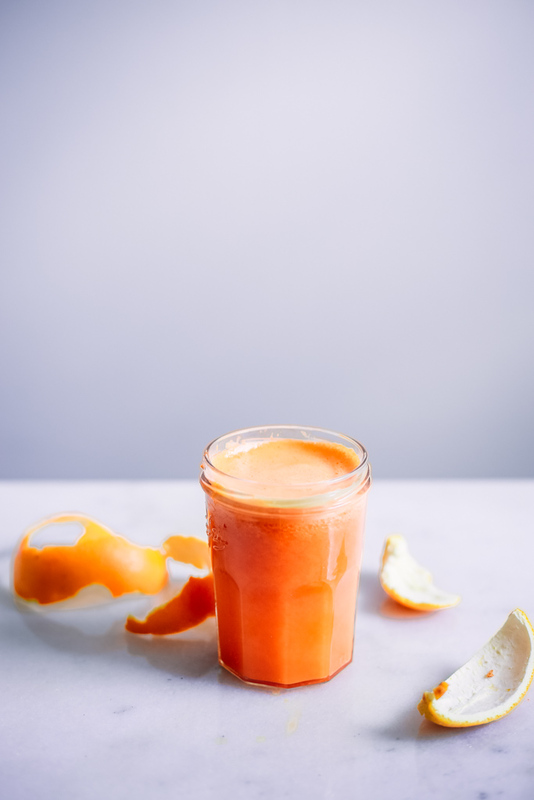 Overall, this juice is rich in antioxidants, Vitamin C, Vitamin A and many other immune boosting goodies to keep our tickers healthy and our minds free and clear. But most importantly, this juice tastes like a Dreamsicle. It’s incredibly creamy, balancing sweet citrus flavors with a hint of peppery turmeric and spicy ginger. It would be killer served in a big carafe for brunch, as a base for an epic mimosa or as a single serving to wash down your Sunday eggs. Regardless, it’s delicious, healthful and one of my favorite ways to incorporate turmeric into my daily routine. If you're in the market for a juicer, there are numerous options at every price level. It can be a little overwhelming to be honest! Here are three that I recommend or that have come highly recommended to me! Cheers to good health, my friends! Juice all the ingredients using the instructions found in your juicer's manual. For optimal health benefits, drink immediately or refrigerate in a sealed container for up to 3 days.